When people think online marketing, they figure it’s about setting up a site and making lots of money online. Of course that is quite accurate but there are a lot of moving parts in there that need to be screwed in straight and firmly for everything to function as a real business. Even though you do need to have your own web presence or social media presence so that people can find you and buy from you, you have to decide what market you want to go in to, what niche or sub-niche, what keywords to target, who your competitors are, how to brand yourself, how to set up sales funnels, creating effective marketing campaigns, etc. Just thinking about it all can make your head spin. That’s why the amazing and experienced marketers out there who are actually doing it as we speak have been kind enough to create educational and practical guides to help the rest of us who need a little hand holding to make complete sense of this incredibly lucrative but fairly complex online marketing process. This is one guide you definitely don’t want to skip over. 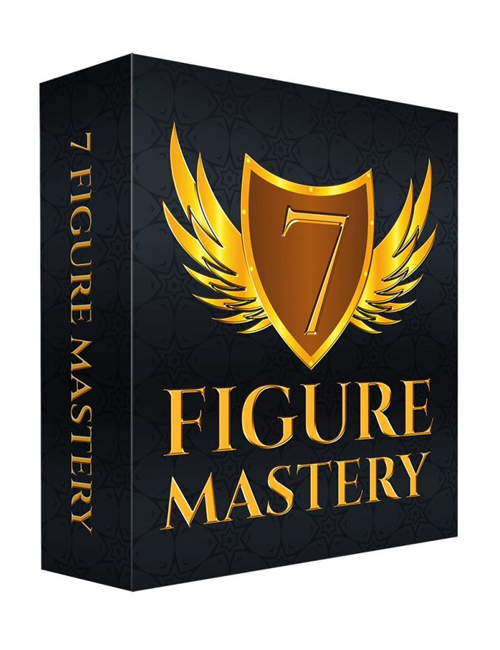 If you prefer visual learning, you can get the 7 Figure Mastery Video Course. Here you will discover everything mentioned above and a whole lot more. You’ll learn about having the right mindset, one of the most powerful marketing platforms that always works, how to set it all up, creating your killer sales funnels, how to choose what to promote and much more. The journey to your success begins here. It’s an absolute must-download so hit the button now.